This blog traditionally strays away from mainstream material, but I would be remiss if I did not mention the passing of who I consider the greatest entertainer of all-time. Although I have been quite promiscuous with music; experimenting and dipping my fingers in any honey pot I could find, you never forget your first love. Michael Jackson was my first love. In a sad attempt to reconnect with that little girl singing "Heal the World" into a hairbrush, I purchased tickets to what was supposed to be Jackson's final tour in London. The purchase highlighted my European vacation planned for mid-July, but obviously upon the news of his death; plans have been altered. I decided not to go with the more popular of Michael Jackson releases, since the majority of his catalog is so readily available. The first album I have decided to post is The Jackson 5's ABC album. 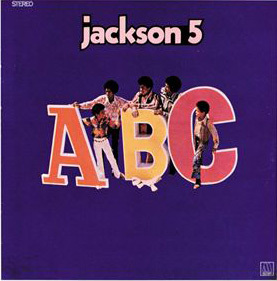 ABC was the second studio album release by The Jackson 5. Although The Jackson 5's Third Album was more successful, I find ABC to be the band's best work. Album highlights include their covers of Funkadelic's "I'll Bet You" and the Delfonics' "La-La (Means I Love You,)" and the title track, "ABC." Although the standout track for my money is by far, "The Love You Save." An absolute gem of a pop song where the group's harmonies seem to be at their peak. The second of the two releases is the E.T. 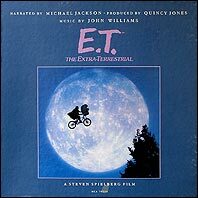 the Extra-Terrestrial Story Book Album Released in 1982, Michael Jackson narrated it while the infamous John Williams provided the music. Jackson received a Grammy in 1984 for Best Recording For Children. I hope you enjoy these albums. Regardless of what you thought of Michael Jackson as a human being, his accomplishments as a musicians must be respected. I love Michael Jackson and I have no problem saying that about anyone that enriched my life with so much joy. Apparently, I am not alone in this feeling, as evident by the heavy Jackson related traffic on sites such as Twitter and Google. Sales of Jackson's albums have spiked tremendously on digital sites such as iTunes and Amazon as well. My favorite thing during this whole ordeal has been discussing with others their favorite Jackson songs and what the songs meant to them. Feel free to chime in with your comments here or on the Michael Jackson official site. Otto Kinzel IV - e.p. Since it would seem that JUnit1 isn't quite ready to start his guest spot here at DM I thought I would post this interesting little homebrew release. Every once in a while someone contacts me asking if I would listen to and review their music. I always try to oblige with the condition that anything I review must be available for download on the internet. For an "unsigned" artist I think it's essential to put one's work on the the net for free. It encourages people, who have access to any album they want in a matter of seconds, to listen to something new from an unknown musician and most times it's at least refreshing to know music does not need corporate sponsorship to be good. This little e.p. 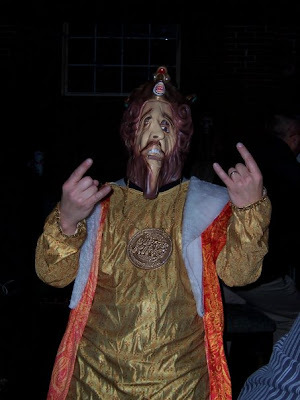 from New Hampshire musician Otto Kinzel is in advance of a full-length album entitled "The Pain and the Progress". Kinzel's industrial/electronica influences are apparent on these four tracks. KMFDM and Foetus spring to mind upon a first listen as well Faith No More during their "Angel Dust" period. Kinzel plays all the instruments while "guest" vocalists belt out mostly rap/rock style lyrics. Of course this is not the brand of rap/rock that's been shoved down our throats for the last ten years by bands who do it all for the nookie. The first track, "Life's Blood", really does remind me of Mike Patton's vocal styling with a hard edged industrial dance groove. "Missed Call" features a pretty rad combination of an old school jungle beat with some interesting guitar and an original arrangement that somehow stays danceable while flirting with experimental noise. The other two tracks here are pretty decent, as well. One is an instrumental showcasing Kinzel's metal guitar skills while the other is a mellow sort of meditation with a carnival theme. Although this sort of music isn't really my usual cup of tea Otto Kinzel does it well. He's able to put together some really lush and complex arrangements that demonstrate his unique musical and production skills. Although this is a home recording, it's slick enough to be mistaken for an expensive major label release. I look forward to hearing the full album when it comes out. Good summertime driving jams. I am pleased to report that fellow music blogger, Josh aka J-Unit1, has agreed to guest blog here for a short stint. Josh is the founder of The Deuce Project, a science fiction themed radio show broadcast on 89.1FM in Kalamazoo, Michigan. He also runs a blog http://89deuce.blogspot.com/ by the same name where he shares podcasts of the previously aired radio broadcasts. The show covers a wide range of music, from cult classics to rare tracks, all with a sci-fi flavor. I'm sure that we will all be delighted by the material he has in store for us for us in the near future. As some of you may already know, I have been on hiatus for a while due to being overworked. As soon as I have enough free time on my hands I will resume regular updates to the blog. I would like to thank Josh for agreeing to guest blog, along with Psyche Zenobia, AllyWonderland, and Nathan Nothin. Without your help this blog would be stagnant, and that would be a real bummer for me and all of the visitors. Thank you for your contributions. You're doing an amazing job. Southland Tales is the follow-up to Richard Kelly's debut film, Donnie Darko. Don't be fooled by a film floating around out there called S. Darko which is marketed as a "sequel" but is really a completely unrelated cheap attempt to cash in on the success of the original. 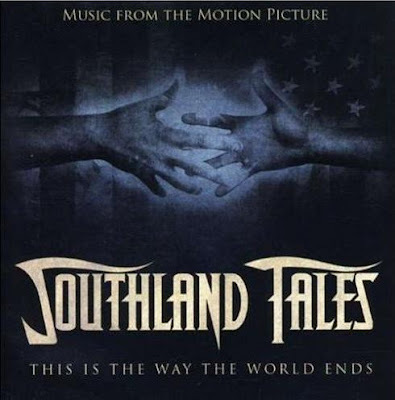 In reality, there is no sequel to Donnie Darko but Southland Tales is as close it comes. Kelly uses an incredible ensemble cast to explore familiar themes of time travel, identity, and destiny weaving a tale worthy of eventual cult classic status. Although half of my reason for posting this is to encourage people to watch the movie, the soundtrack is no slouch either. Original music composed by Moby and a good mix of other tunes make this a decent compilation on its own. The Pixies, Black Rebel Motorcycle Club, and Jane's Addiction are among the more familiar names but there are also some pretty obscure tracks and some that were composed for the film such as a very interesting re-working of the Star-Spangled Banner. Enjoy!